Going solar is now cheaper than buying power from your utility! For a typical home, going solar is the equivalent of driving 500,000 fewer miles. 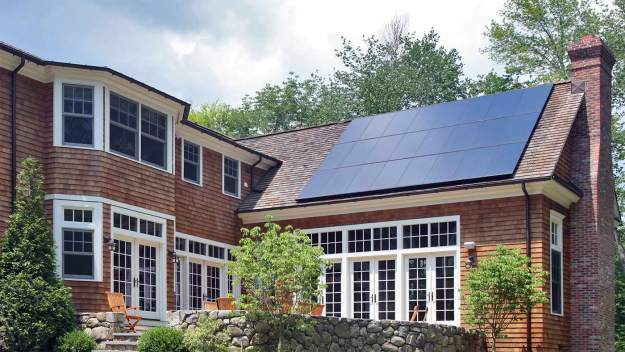 Certasun exclusively installs SunPower, the world’s best solar panels. With our No Surprises Guarantee, count on us for honest advice and quality work. When you choose to go solar, you should expect your system to last decades. That’s why Certasun exclusively installs the SunPower Equinox solar system, which includes the world’s most efficient, durable, attractive, and sustainable solar panels. Certasun is Illinois’s premier home solar company and we are committed to an exceptional customer experience. As such, we’ve developed our No Surprises Guarantee. The No Surprises Guarantee means that you can count on us to give you honest advice about the right system for your home, speak frankly about the pros and cons of financing options, and treat your home with the same care we treat our own. You can buy your solar system outright and earn great returns with less risk than in the stock market. Or, you can choose a financing option with no up-front investment that saves you money on electricity every month.